Lookin’ for a moonshine still. Dirt’s too rocky by far. Get their corn from a jar. Moonshine is to East Tennessee as beer is to Milwaukee. You don’t have to drink it. But you probably need to know about it. From songs to movies, ‘White Lightning” is woven into the fabric of Tennessee history. If you are visiting the Gatlinburg Parkway with your kids, you have 2 options. 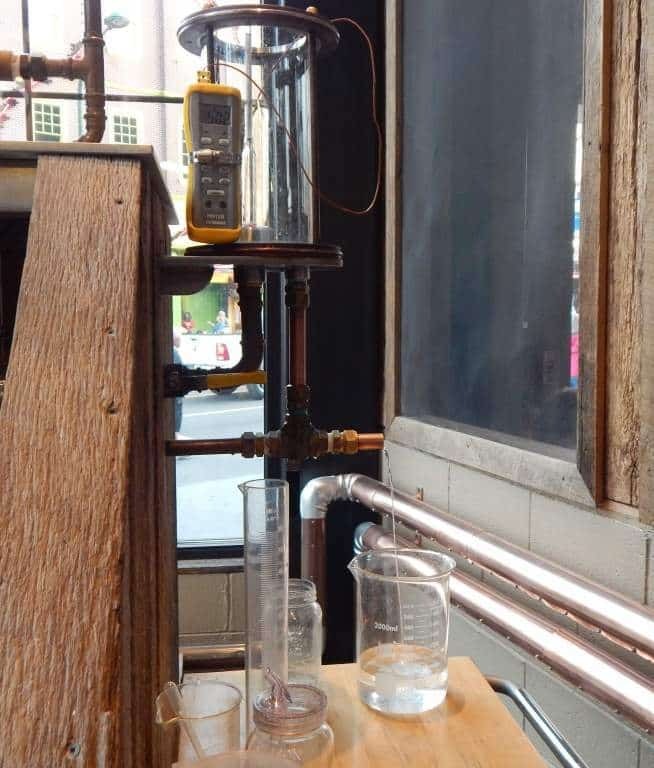 You can ignore the moonshine sellers or you can pop in to Sugarlands Distillery and get a short science and history lesson. Mom note – Plan to do this during the day. Sugarland Distillery is VERY popular with the 21 and up crowd (free samples!). We visited on a Friday night and while I wouldn’t say the crowd was raucous or threatening, there were a ton of people. Also, if you are just completely anti-alcohol, this post is not meant to change your mind. There’s plenty of family fun to be had in Gatlinburg. Sugarlands Distillery is locally owned and has been open on the Gatlinburg Parkway for 2 years. The store is attached to the distillery and you can watch the process through the glass windows in the merchandise area or by taking a free tour. The tour is family friendly and is open to all ages. Our tour guide was just completely delightful. He entertained us with stories throughout the brief tour (it will take you 15 minutes at most) and he was super attentive to the kids in our group. 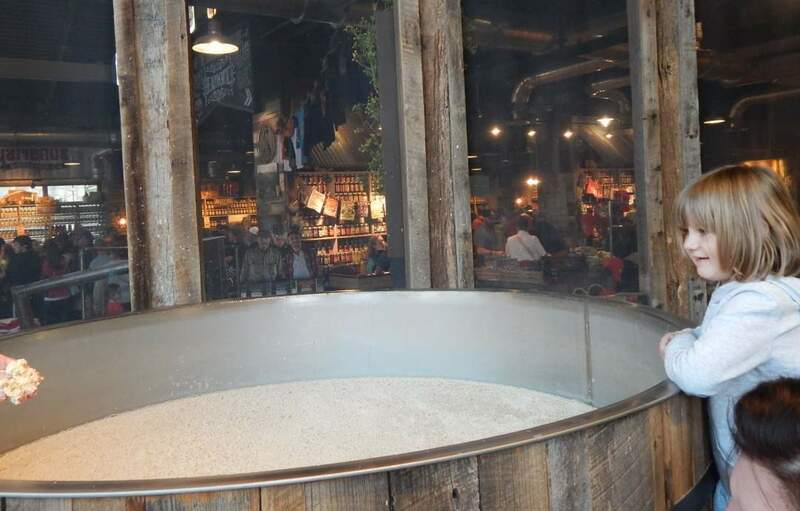 The tour allows you to see the process as white corn is turned into moonshine. The process has a few steps. 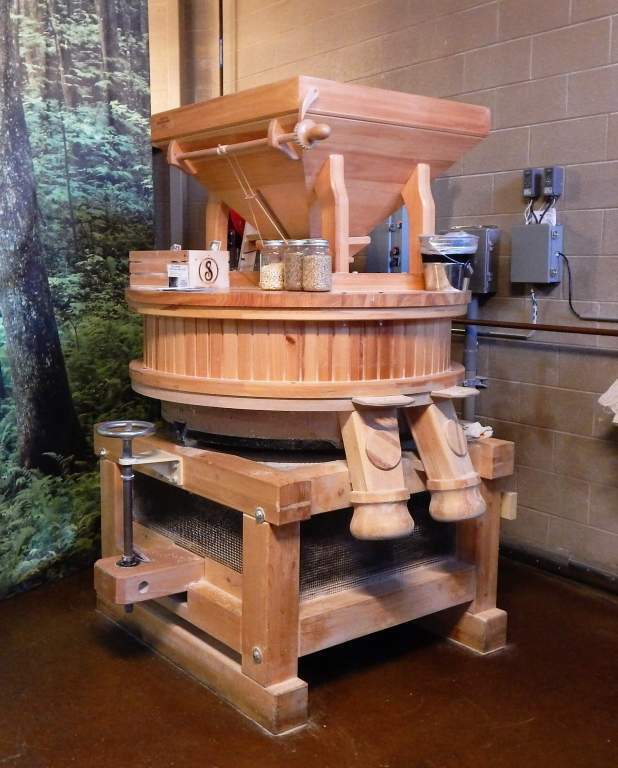 First, the corn is ground into meal in a stone burr mill. This concoction bubbles away for 4-5 days and then is transferred to a copper pot still. 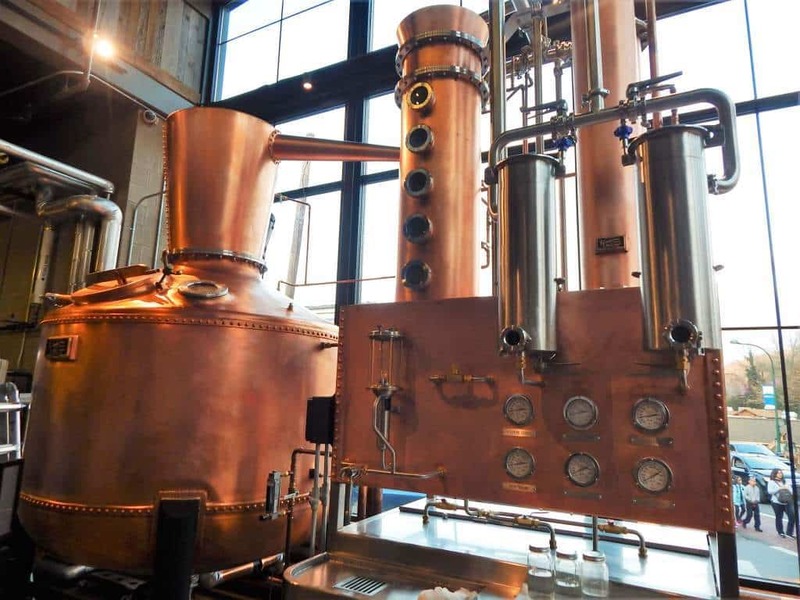 The mixture is distilled 6 times before it is ready to be mixed, flavored and jarred. 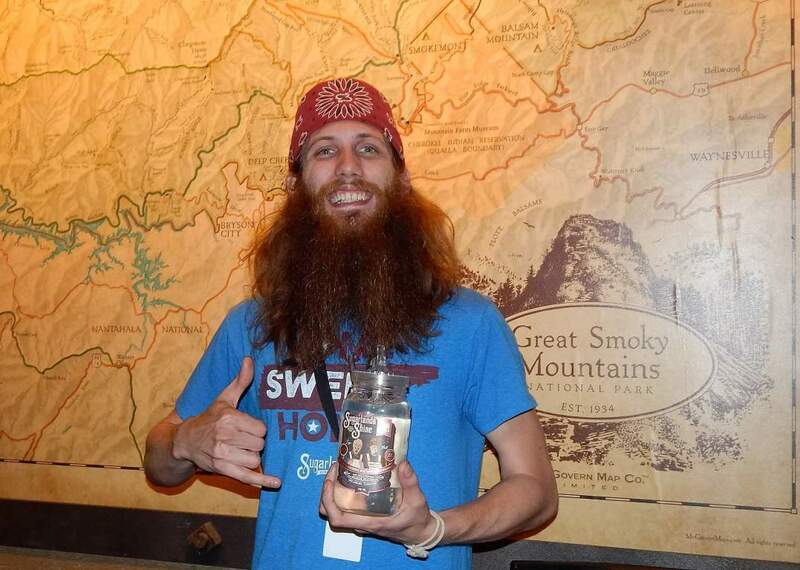 The last part of the tour takes you through the area where the moonshine gets packaged. Sugarlands Distillery is serious about their local credibility. hey buy all their ingredients locally They sell their by-products to a local farmer. And all their products are handmade, labeled and packaged to create local jobs. If you are an adult who is interested in a more immersive moonshine experience, Sugarlands offers some premium private tours and workshops for a fee. You can find information on these tours at this link. Sugarlands does offer tastings to their patrons age 21 & up. This is done at several “sippin’ stations” throughout the store. Children aren’t even allowed to touch the tables where samples are poured so if your party includes little ones, make your way to the “Back Porch” where you can hear live music most days of the week or shop for merchandise in the store. If you are looking for a unique, you will definitely find something at Sugarlands. 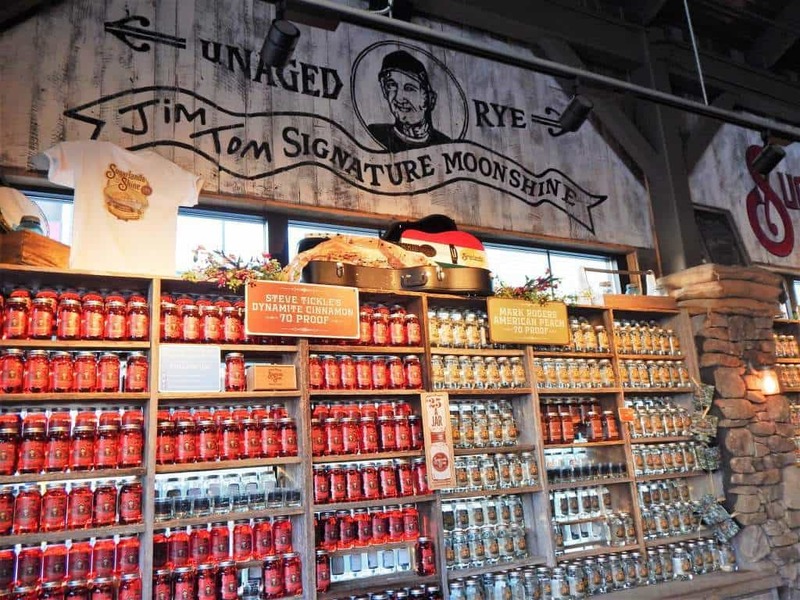 They sell hats, glassware, clothing, candles and well…Moonshine!